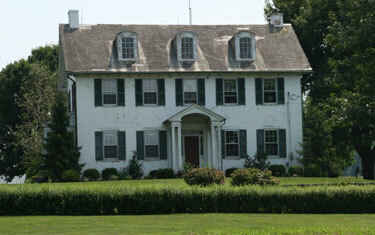 This house was built by Madame's son, John, about 1719. An addition was put on later by his grandson. The property is located on what was the southeast corner boundary of the original Ferree grant. John also had land on the northeast corner, and acquired the tract of his sister, Jane Ferree Davis, on the southwest corner after the death of her husband.